Care free growth habit. 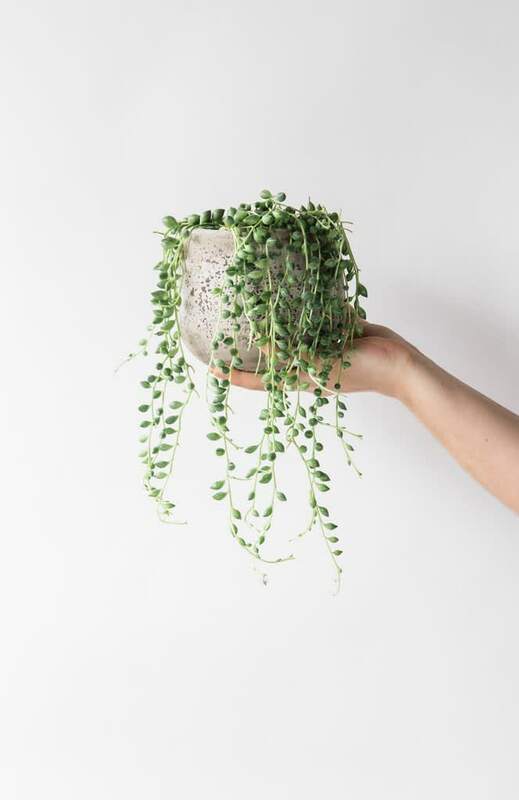 This pretty succulent plant will sprawl over the edges of pots or hangers and resembles a beaded necklace with its fleshy, green, pea like foliage. Water sparingly once a fortnight (over watering will increase the chances of root rot). Prefers bright light. Pots in image not included; sold separately. Forest in London, United Kingdom.